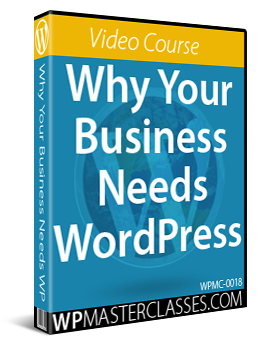 WordPress makes it easy to publish and format content online by providing users with a rich built-in content editor that requires no knowledge or experience of coding to create professional-looking web pages with formatted text and embedded media quickly. 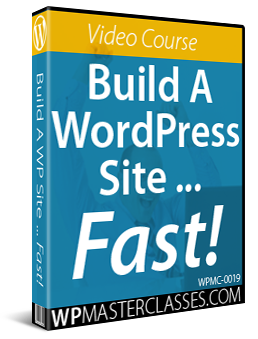 In this comprehensive step-by-step tutorial, you are going to learn how to use the WordPress Visual Editor. 1. Post Title Area – Type in your Post title here. 2. Permalink – Clicking on the Edit button changes your permalink. This function is useful if you would like to change the URL of your post or page. 3. Add Media – Clicking this button lets you upload, manage and insert pictures, videos, audio, etc. into your post or page from your hard drive, an external URL, or from your site’s media library. 4. Visual Editor Tab – Click to access the WYSIWYG (What You See Is What You Get) visual content editor. 6. Bold – Highlight content and click this button to add bold formatting. 7. Italics – Select this button to make the words italicized. 8. Strikethrough – Add strikethrough formatting to your text. 11. Blockquote. Choose this functionality to create a block quote. Select the text you would like to display as a blockquote and click the menu button. To exit the quote press the “Enter” key to create a line of space and then click the block quote button again and this will end the command and return your text to normal. Press the “Enter” key and leave a line of space to end the alignment command. 16. Insert/Edit Link. Click this button to add hyperlinks to your content (See “Inserting Internal Content Hyperlinks Into Your WordPress Content” tutorial for useful tips on creating internal links). 17. Unlink. Click this button to delete hyperlinks. The ‘Read More’ tag won’t work on WordPress Pages. It only works on the page that shows your most recent posts (i.e. the Blog Page). 19. Enhanced Menu Mode. Clicking this button toggles the WordPress visual editor between minimal mode (one row of buttons) and enhanced mode (two rows of buttons). With distraction-free writing mode toggled on, the surrounding page elements return when the cursor is moved outside the boundaries of the content editor. Refer to the “Tips” section in this tutorial for more tips on using this functionality. 21. Format Style. This feature lets you format text. Depending on the theme you’ve installed, the style menu may include default heading styles and other pre-defined styles. When you create a new post or page and begin typing into the content box, the text will typically be formatted using the default “Paragraph” style. Modifying content styles generally require having knowledge of how to edit CSS (Cascading Style Sheets). 22. Underline. Highlight a section of text and click this button to add underline formatting. 23. Justify. Clicking this button will justify a paragraph where your mouse cursor has been placed or text selected. Justification can only be applied to a block of text. This gives you access to an almost limitless choice of colors. If you are familiar with the Hexadecimal (HEX) color system, just type in the values for the specific color you want into the # field. Otherwise, click in the color box, enter RGB values or use the slider to add a custom color. See the “Tips” section below for useful information about using this item. 26. Remove formatting. Use this feature to clear all content formatting if you notice unwanted codes in your content (or if your content isn’t displaying as you expected after publishing). 27. Special characters. Click this button to add symbols like © ® ™ and a bunch of other symbols and characters to your content. 28. Outdent – Clicking this menu button decreases indented text and returns text to left alignment on the page. 29. Indent – Clicking this button adds indentation. Here’s a line of indented text. To keep indenting text, press the Indent button more than once. 30. Undo. Click this button to undo your previous actions. Click this if you have accidentally deleted a section of text or formatted text incorrectly and need to revert to a previous state. 31. Redo. Clicking this button reinstates a change or deletion that you have made. 32. Keyboard Shortcuts. Click this button to see the Keyboard Shortcuts feature. This is covered in more detail in the Tips section below. The WordPress development team has removed the Underline and Justify buttons from the visual editor in version 4.7, as it was felt that underlining text can confuse readers who may interpret it as a hyperlink and the justify button was removed because most web browsers that render CSS and HTML lack sophisticated page layout functions to adjust the gaps left in words by justification and can make text less readable. Although the buttons have been removed from the toolbar, you can still use the keyboard shortcuts for both buttons (see below). MS Word and some other content editors can contain code that is not directly visible when copying text from a document into the clipboard. As WordPress continues to improve its software, more of the technical work required to integrate different platforms and make things work together “invisibly” will take place behind the scenes, freeing up greater numbers of non-tech-savvy users to benefit from using WordPress. WordPress now lets you paste content directly from Microsoft Word and other word processors. If the source content has heavy formatting and is not pasting cleanly, however, then try pasting it into your editor as plain text and format everything afterwards. 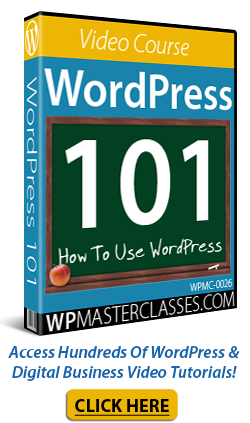 You can also paste formatted content and then remove the formatting inside the WordPress Visual editor. This is great if, for example, you have pasted a block of content from an external website that contains CSS styling formatting. If the content was sourced from your own website, everything may look normal until you make a change to the styling (e.g. change the color scheme) and discover that some of your previous content elements (e.g. links) have a different CSS style. For this reason, we recommend removing the formatting from pasted content, especially from content sourced from other sites. Note that some content styling elements will not be removed from your text after applying this function. This includes hyperlinks, heading styles, etc. Here is a useful way to test for content errors suspected of being caused by poor formatting tags without losing the original content. Open a new plain text file, paste the content from your clipboard into it and save, then return to your content editor and complete the “remove formatting” process. Now, if something were to go wrong, you have a backup copy of your content with all the original formatting preserved. Breaks enable the formatting of your text to be carried over. This is useful if you want to add line breaks to a bulleted section (without creating a new bullet point) or keep the same style going in a different text block. Distraction-Free Writing requires that the full-height editor be enabled in the Screen Options area (see further below). With Distraction-Free Writing mode turned on and the Full-Screen function of your browser enabled, the current page will fill the screen entirely, leaving only the title and the content of the page or post you’re working visible. Congratulations, now you know how to use the WordPress editor.